This comforting beef and mushroom stew recipe is cooked in a homemade dashi for an extra-umami hit. 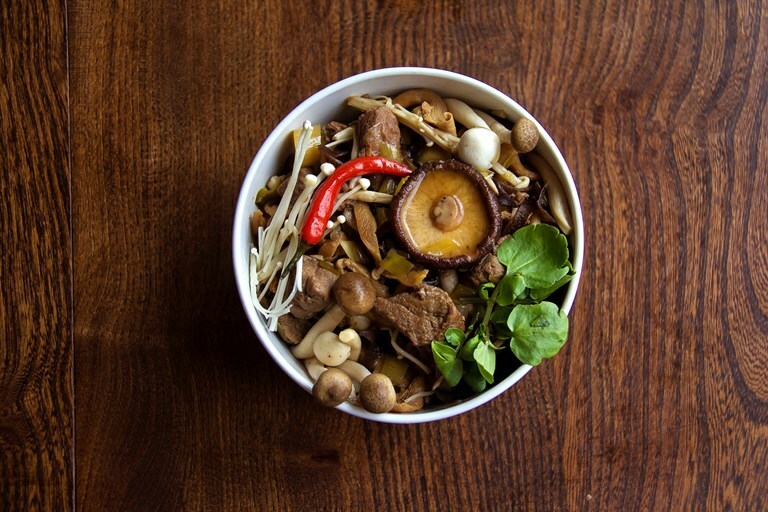 The rice is cooked in a basic dashi for extra flavour, but feel free to use a splash of mushroom dashi, or a ready-made stock to save time. For a full basic dashi recipe, see Rosana's stunning crispy pork belly recipe. I have been using dried mushrooms in recipes for ages, as when the mushrooms I want to use are out of season or not readily available in the stores, they are a perfect replacement. However, I never thought that when using dried shiitake mushroom I was, in fact, making dashi. 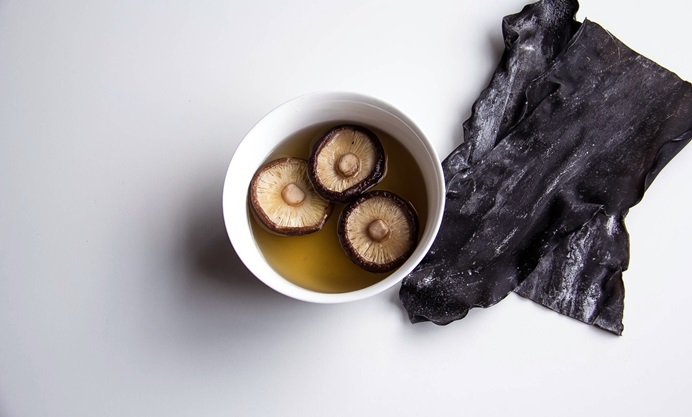 Making mushroom dashi is easy, but you should only use dried shiitake mushrooms for the best results. The stock is achieved by just re-hydrating the dried fungus. This lovely recipe warms the soul, and despite having a few steps it's actually quite easy to make. Mushrooms are a very versatile fungus, and they are really good at absorbing other flavours. 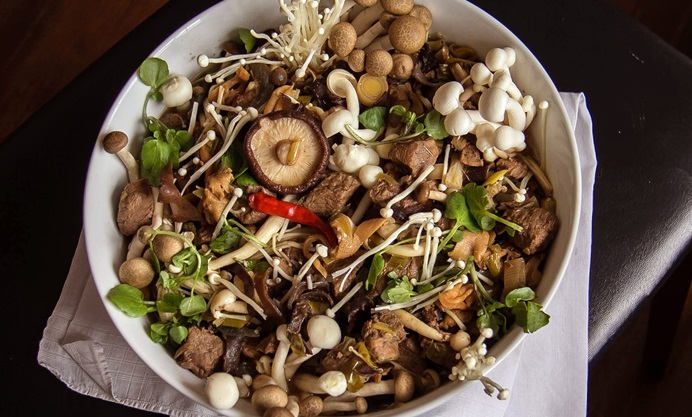 In this recipe, I used fresh Japanese mushrooms and the re-hydrated shiitake for the dashi. This mix of flavours, combined with the beef, gives the whole dish an earthy aroma and a lot of texture. I used shiitake, enoki, shimeji, brown, white and oyster mushrooms for this recipe, but please feel free to use your favourite combination. The use of a basic dashi to cook the rice gave it a deeper flavour and beautiful scent. Quite unique!